How Chinese travellers are changing the luxury industry ! How Chinese are changing the luxury & Fashion industry ? At least 120 million tourists have left China in 2015 and spent an estimated $ 229 billion in shopping abroad, making them the largest consumers in the world. In what do they spend the most ? Fashion and accessories. This trend has had a huge impact for luxury brands and fashion. For many years, luxury brands have managed to maintain high profits on their products in China; China prices are often 50% higher than in Europe or the United States. Now that the Chinese have take into account that buying when traveling outside the territory will be more beneficial for them, they choose their destination based on the shopping they can do. The Japanese have even invented a word to describe this phenomenon “bakugai” or explosive shopping. The fact that more and more luxury’s consumers travel in order to buy products, it has an important consequence of increased sales of luxury brands. It is therefore essential for these brands to be ready to receive these consumers. To attract these many travelers, department stores Galeries Lafayette in Paris to New York at Bloomingdale will offer a variety of special offers. These stores will conduct marketing campaigns on WeChat, offer personal shoppers or translators to accompany the Chinese consumer. But first it is necessary to adapt products and merchandising to demands of Chinese. For example, in 2014 an American brand J.Crew shined by introducing 000 and XXXS sizes in its US stores. The brand has distinguished itself by logic but certainly very clever strategy because it adapts to the size of Asian consumers who are thiner. In addition, travel also affect the luxury sector and fashion in a second way. Travelers are now looking for an exceptional experience. They do not want to travel the traditional way by visiting the tourist places but are looking for an upscale travel. This new way to travel is a form of social currency, a social-economic status indicator. Indeed, today a skiing trip to St Moritz or taste the best French wines have become equivalent to buy luxury goods such as Rolex or a Hermes Birkin bag. In the travel industry, luxury has become the fastest growing segment, rising 48% in the last 5 years. Only in 2014, the world population has undertaken 46 million luxury international trips, worth € 172 billion according to a report of World Travel Monitor. This new trend of high-end trips taken by Chinese millionaires will give a headache to luxury brands. The rich Chinese want to expose their children to the privileges once reserved for a “white elite”, taking them to destinations of the upper middle class. Brands must therefore review their strategies if they want to take advantage of these new rich. Brands must be able to offer a wide range of products to its consumers. Chinese consumers make many trips a year at different locations in the world. When buying goods abroad it is not only sad winter collections colorless but rather products that flashy with beautiful colors or beautiful swimsuits to go to Thailand during periods of Christmas. But the trend of high-end travel takes over on the fashion industry. It is observed that the current trend is to neglect the Chinese luxury goods to luxury experiences. Chinese now prefer to swim with dolphins, hiking, visiting exclusive places then to share those pictures on social networks. Therefore, what is the future of the luxury and fashion industry as more and more wealthy consumers are spending more in authentic experiences that luxury goods? 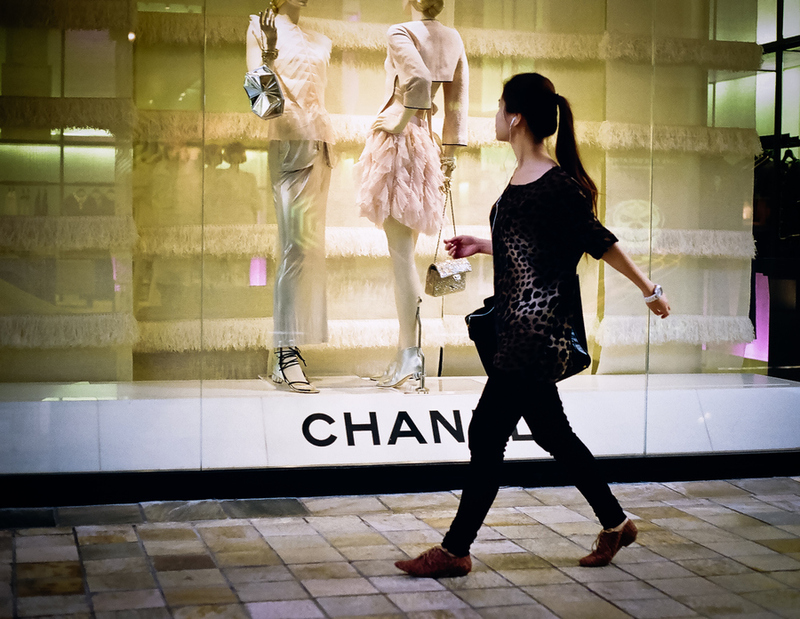 Luxury Brands and the Shopping experience ! Luxury brands must at all costs find a way to link their products to a feeling of authenticity, offering to customers a unique experience in their stores. Brands need to stand out by having to awaken the client’s curiosity. Just think about Disneyland: they managed to relive their films in a transparent, authentic and profitable way. Theme parks are a real success, brands must fit on the same model by giving life to their products, giving consumers a impression of a tourist attraction not only on their websites but also in their stores. For example, Niketown in New York is very visited because it was laid out efficiently and offers an unforgettable experience for fans of sportswear. Many luxury brands have tried to embark on the construction of luxury hotels (Armani, Versace, Bulgari) but it is not enough to attract consumers, they need to offer more exclusive services. 8.2 Million of Chinese Tourists in Thailand for 2016 ! How a chinese customer search for its holidays ? We want attract Chinese lusury tourist, that want to byuy luxury artifact products. What will be the minimum Cost ?